If you’re anything like me, your New Year's Resolutions are long forgotten by now. In fact, I've spent most of my life setting goals and quickly forgetting them. This became a frustrating cycle, so, in response, I’ve spent a lot of time figuring out how to set goals that I’ll actually stick to. Setting goals has helped me create a better plan for my life. You never know what you can accomplish until you actually do it. Goals can help you see where you’ve been, and where you want to go. Here’s what I’ve learned about setting and accomplishing goals. I personally have a super hard time with really long-term goals, so I set monthly and weekly goals. If I am working towards a longer-term goal, I’ll break it down into these smaller timeframes to keep it from becoming overwhelming. I reflect on how my week went, and what I want to accomplish in the next week on Sunday nights. I’ve found that setting aside time to think about what I have improved, and what I want to improve has really helped me gain perspective in my life. Since I’m awful at keeping a daily journal, I tend to write out a few thoughts during this time as well. You can pick any day and time during the week, but try to keep it consistent. Another way to keep yourself from getting overwhelmed is by focusing on only a few goals at a time. For example, I only set one monthly goal and 2-3 weekly goals. I make sure not to overload myself by working towards multiple goals every day. For example, if my monthly goal requires daily action, then my weekly goals will only require action a few times a week. This is because half an hour a day is a small commitment until you are trying to do four things for half an hour a day each. Remember how much time you are committing to your goals total, not just each one. Keeping it simple will increase your chances of actually achieving your goals. When you are setting goals make sure to have a clear “why” for each one, because if you don’t have a purpose in making them you will easily break them. Also, consider what the ideal outcome of your goals are. If you are hoping to read faster, then doing sit-ups every day won’t help you achieve your goal of reading faster. I generally phrase my goals as “improve _____ by doing _____” to help me keep the ideal outcome in mind while I work towards it. Try to keep your goals quantifiable. When goals are quantified it is easier to evaluate how well you did at the end. 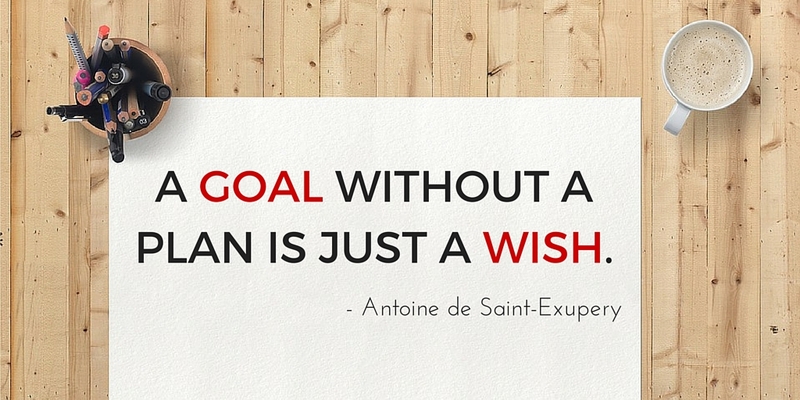 This also helps you make goals that are actually achievable. Using numbers when writing goals can make your goals more specific which helps you accomplish them. There are many types of goals; I categorize my goals into academics, relationships, health, life, money, and self. After I graduate college, I’ll probably change academics to career instead. I try to mix up which types of goal I make pretty frequently, to help me become more well-rounded. Since I love feeling organized, I color code these categories. Probably most importantly of all, write your goals down on paper. I’ll say it again, write your goals down on paper. Make it pretty or don’t, either way, you are way more likely to achieve your goals if they are written down. Put this paper in a place where you will see it often. Mine are on the wall above my desk, so I see them while I’m working. Additionally, reminders on your phone are great to have reminders throughout the day when you aren’t at home. I also like to make checklists for my goals, so I can feel successful each time I finish an aspect of my goals. For some serious motivation, set goals with friends and hold each other accountable. Do something to remind yourself of what you’re working towards and the reason why each day. -Increase my reading speed by 50 wpm, by reading 30 minutes a day for a month and testing every week. -Stay hydrated by drinking 64 oz of water each day and tracking my water intake. - Be more appreciative by writing 2 thank you notes and sending 5 thank you texts this week. - Improve my French by using Memrise for 30 minutes a day. Evaluate based on the exam given in class. -Try one thing out of my comfort zone this week by saying yes to everything (unless it’s clearly dangerous). -Increase my vegetable intake by eating one or more vegetable with my lunch and dinner. Now you’re ready to conquer the world! Or just college, it's about the same difficulty. Following through on your goals will help you feel organized and successful so give it a try! It’s never the wrong time to improve yourself. Positive Affirmations – How Well Do They Really Work?